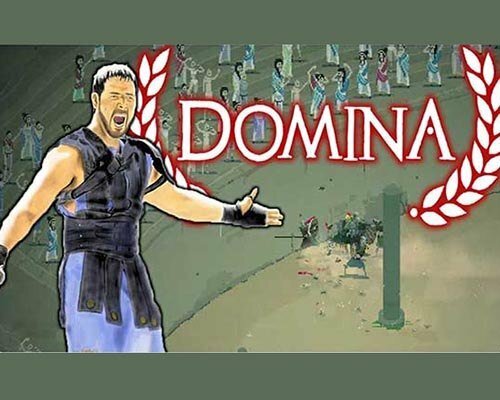 Domina is an Action, Strategy and Simulation game for PC published by DolphinBarn in 2017. Fight in as a powerful gladiator. You will enter the battles of ancient Rome when the gladiators were fighting like animals. Some of you may know the rules; One of the fighters should die! Take charge of a ludus, acquire, train and upgrade gladiators, and pit them against your opponents in bloody arena battles. Use strategic political wranglings to win favor from powerful Romans to increase the odds of victory in the arena and elevate your family name, all while trying to keep a group of brutish warriors focused, alive, and victorious. This game is a pixel-art strategy simulation vaguely based on Roman gladiator schools of antiquity. Domina is a good game, not great but by all means not bad either. When you started to game it floods you with tons of things like training slaves, their needs, their skills, blessings, random events, host’s moods, pit fights, morales, daily consumptions etc. etc. But tutorial and tips (info) system is really good, so don’t be afraid for new things. You will train a champion which you spend tons of time and money and in the end you will lose him. Either he will die while trying to claim glory in arena or he will just run away with a slave girl at night. Alas show will go on. However, after few hours later you will learn tips and tricks. Then game will became lots of easier and repative, if you manage to cyle your gladiator’s training before your champion’s retirement or death it will became an easy game without a charm. 15 Comments ON " Domina PC Game Free Download "
How to fix no-visible-gladiators bug? How you get the setup password? Gladiator school is a similar kind of game. Can you please add it here? Please add the latest version if possible. Last link is wrong. Point to Airport-CEO-Alpha.25.0.0 !!! Please update to 1.1.18 version. WHY DID YOU GIVE ME A VIRUSS!! !